I drew this cartoon some years ago to advertise a phone-patch-related product marketed by j-Com. It sure brings back memories of the way hams used to connect with the phone system. Does anyone still use a phone patch or an auto patch? For that matter, does anyone still use a landline phone? 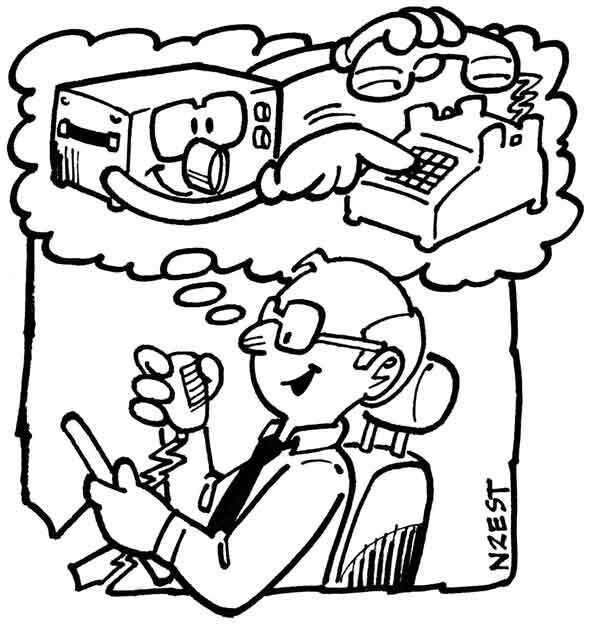 This entry was posted in Throwback Thursday and tagged amateur radio, autopatch, cartoon QSL, ham radio, ham radio cartoon, ham radio humor, Hamtoons, j-Com, mobile operation, N2EST, phone patch, Throwback Thursday. Bookmark the permalink.